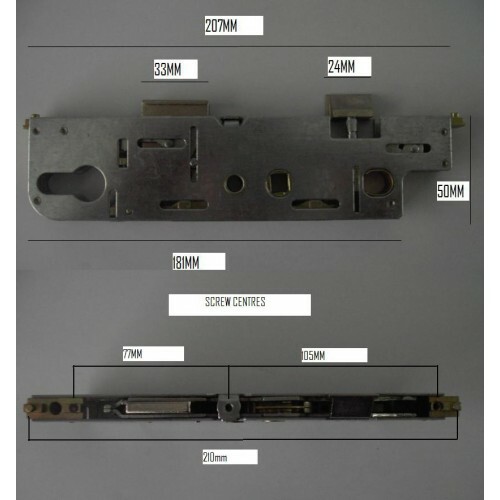 The central gearbox is the part 99% most likely to fail on a uPVC lockstrip. 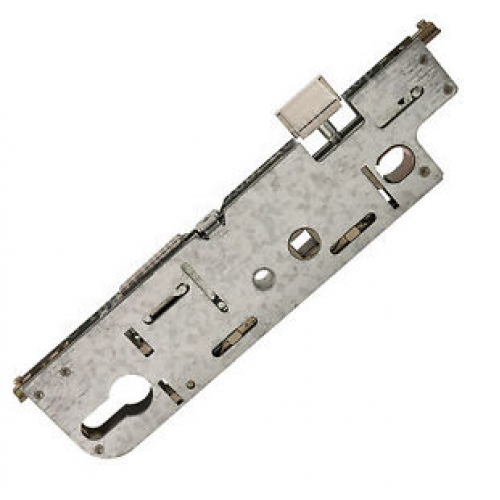 The 35/92 Replacement Door Lock Gearbox will replace the old style GU uPVC Door Lock Case (with latch and deadbolt), as found on uPVC door locking mechanisms. This old style lock is now obsolete and difficult to source. This replacement case will fit both front and back doors. This can be replaced by simply unscrewing it from the strip and replacing it with the lock case saving both time and money. These gearboxes are available only in 35mm Backset (measured from the centre of the square spindle hole to the front edge of the lockcase). They also have a fully reversible latch allowing use on both left and right hand doors.